The Carnival Miracle kicked off a year-round program of seven-day cruises from Tampa this past weekend, doubling the line’s capacity at the port, Carnival Cruise Lines said in a statement. The Carnival Miracle joins the Carnival Paradise which operates year-round four- to eight-day voyages from Tampa to the Caribbean and Cuba. Together, Carnival Miracle and Carnival Paradise will carry an estimated 280,000 passengers annually from Tampa. 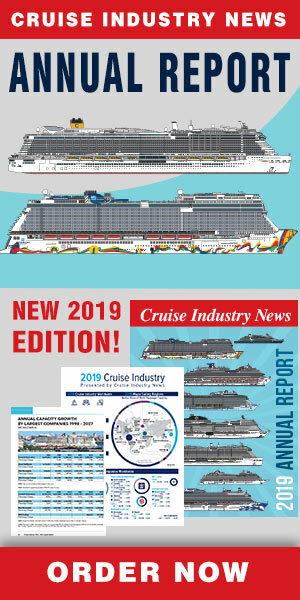 “Carnival Cruise Line has been sailing from Tampa for nearly 25 years and we’re thrilled to add a second year-round ship to provide our guests with an even greater variety of fantastic cruise vacation choices from this convenient homeport,” said Christine Duffy, president of Carnival Cruise Line. “We would like to recognize our partners at Port Tampa Bay and the Tampa community, as well as our valued travel agent partners, for their efforts in making Tampa one of our most popular and successful embarkation ports,” she added. On its week-long Tampa-based cruise program, the Carnival Miracle departs Port Tampa Bay Saturdays or Sundays calling at four popular western Caribbean ports: Cozumel, Grand Cayman, Mahogany Bay (Roatan) and Belize. Carnival also recently added several six- to 14-day sailings aboard Carnival Miracle including a partial transit of the Panama Canal. The new six-day voyages feature day-long stops at Cozumel, Belize and Costa Maya or Mahogany Bay. Departure dates include Sept. 2 and Nov. 11, 2018, and Jan. 27 and March 31, 2019. Eight-day Panama Canal cruises depart April 14 and Sept. 8, 2018, and Feb. 2 and April 6, 2019, and include a partial transit of the Panama Canal along with stops at Limon (Costa Rica) and Grand Cayman. There’s also an eight-day, five-port Caribbean cruise that departs Nov. 17, 2019, and visits Cozumel, Costa Maya, Mahogany Bay, Belize and Grand Cayman. Carnival Miracle will also offer a 14-day Carnival Journeys Panama Canal cruise round-trip from Tampa Dec. 2-16, 2018, featuring Cozumel and Limon prior to a partial Panama Canal transit followed by visits to Cartagena (Colombia), Aruba, Curacao and Montego Bay (Jamaica).